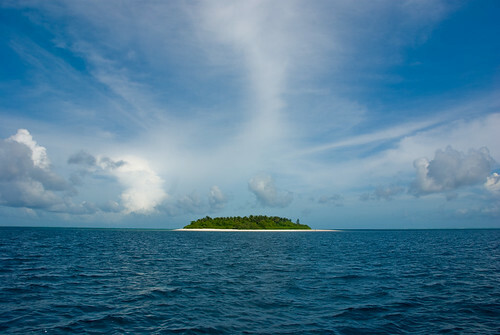 If you were stuck on a desert island what 5 items would you take with you? When you think about this year, what are your top 5 goals, dreams or hopes? It’s important to think about priorities. Take a moment to slow down to this song and think about what things are most important to you, and how you will make time for them? Remember the Sabbath day, to keep it holy. Six days you shall labour, and do all your work, but the seventh day is a Sabbath to the LORD your God. We are human beings, not human doings, and therefore, it’s important that we prioritise rest, and connecting with God, people, nature or the things that help us feel alive. Thank you God for your gift of Sabbath Rest. May we prioritise it and may we prosper because of it. Here is a prayerful poem I filmed about stepping away from worry and stepping into God’s rest. 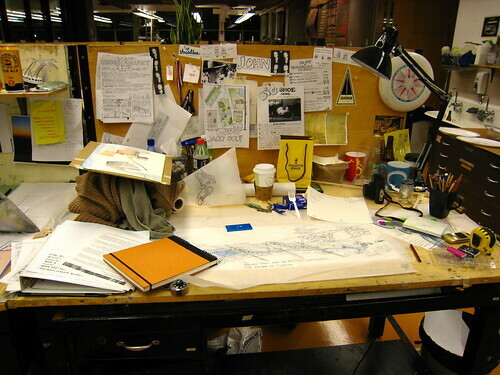 Now THIS is what I call an organized desk. Get the whole set from @grovemade. #thingsorganizedneatly flickr photo by designmilk shared under a Creative Commons (BY-SA) license. This image has been cropped from the original. How would you describe an organised person – what would they do? Why is it important to be organised? What happens if you are disorganised? Watch this film clip – it goes through 6 habits to help you be more organised. 1. Why do you need to be organised? 2. Being honest with yourself – how organised are you now? 3. Which ideas from the film clip are you going to use? 4. Now turn to the person next to you and tell them what you are going to do. Now turn to 11th Feb and write, ‘Review my organisation skills’ – this will remind you to think about whether you have stuck to your plan of being more organised. Being organised is the key to success. Success doesn't come from what you do occasionally it comes from what you do consistently. Dear Lord, my life can sometimes feel very hectic and messy. I always seem to run out of time. Please help me bring order to my mind and to my life. Help me to prioritise and focus on what is essential. Show me when to ask for help and when to say no. Give me the strength to resist distractions and stay focussed. I know that I am precious to you and that you care about all the details of my life. Help me to live my life remembering this truth every day. As we head into 2019 what are your hopes and fears? Whatever they are, remember God is with us. I’m going to be taking this Christmas poem into the rest of the year ! Come, Immanuel, God with us to be. this dirty stable of humanity. Come and live rough, as we do: come and die. Come and be lonely as an orphaned child. Come to where grief is harvested and stored. Come to where empty agèd minds run wild. Come to the hospice and the cancer ward. Come, flee from tyrants as a refugee. Come, be betrayed by those you counted friends. Come and be tortured with no amnesty. Come as the means to justify all ends. Come and be broken like a Christmas toy. and God above is God with us below. What happens in your house on Christmas day? What happens in your church at Christmas time? What do you look forward to at Christmas? Christmas is a great time to think about God and how he understands our crazy, messy life….Jesus’ birth was quite crazy and messy too! Our ALIVE value this week is, I Value Faith. Joseph had to have a lot of faith to marry Mary when she was pregnant. He had to believe that everything was going to be OK and trust God. We don’t really think about Joseph much at Christmas because he didn’t really say much (or not much of what he said is recorded in the Bible). But he did a lot! He looked after Mary as they travelled to Bethlehem and probably did a lot of the organising behind the scenes. He did all of this because he had the faith to believe that Mary was doing what God wanted. Joseph’s actions showed that he had faith…even if he didn’t say anything…. Will the way that you behave this Christmas help others to see that you are celebrating the birth of Jesus? I must confess I get bored at Christmas. The same songs, food and decorations. So it's important for me to keep finding creative ways to engage in the most wonderful time of the year. Watch this spoken word about Christmas and ask yourself what stands out to you? The word became flesh and pitched his tent amongst us. God got involved. Who could you get alongside this Christmas? I love finding reimagined carols. Have a listen to this and discuss what you would like to reimagine or remix this year. May we hear the Christmas story in a fresh way this year. May find you in the mess of life and may we become a message of hope to others, using all our creative gifts.